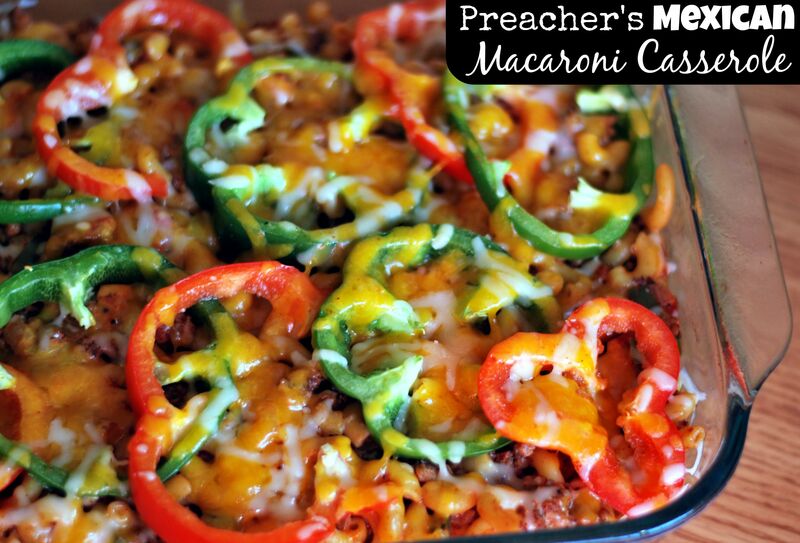 One of the most popular recipes on my site is my Preacher’s Macaroni Casserole. I made a Mexican version the other night and think it turned out even better than the original! We could not get enough of it! The leftovers were even better the next day! 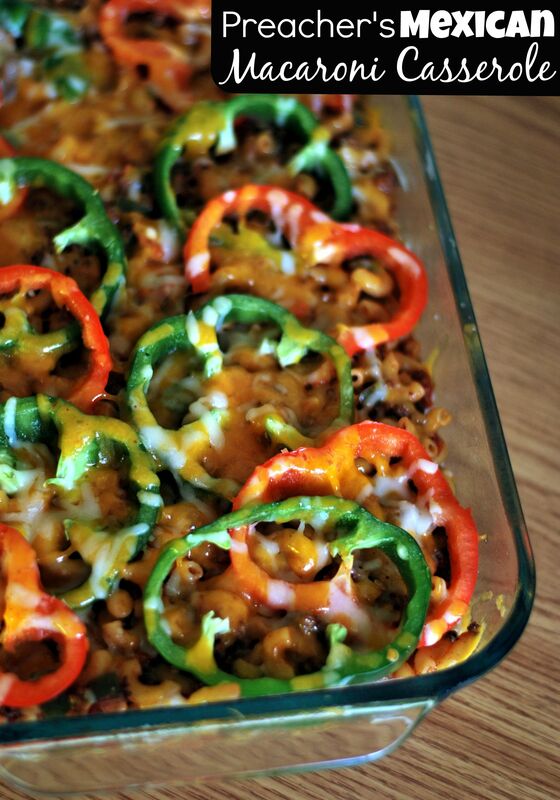 For all of you casserole fans out there this one is a must try! Boil noodles for 1 minute less than lowest time on package directions, drain and set aside. Brown sausage with diced onion and bell pepper. Stir in tomatoes with juice, sour cream, chili powder, salt and cooked noodles. Pour into a greased 13×9 casserole dish. Top with bell pepper rings and cheese. Bake at 350 degrees for 20 minutes or until cheese is melted and bubbling. Enjoy! Click Here for more family favorite casserole recipes! I think that a can of Rotel tomatoes and green chilies in place of the can of regular diced tomatoes would be delicious in this recipe! It sounds very good the way it is, but as soon as I saw the diced tomatoes, I was thinking the Rotel would be a little kick to the dish. You are SO right! I think I will try it that way next time!!! Thanks for a great idea! !